I can not extol the virtues of work-holding devices in the workshop to their dutiful position with mere words. 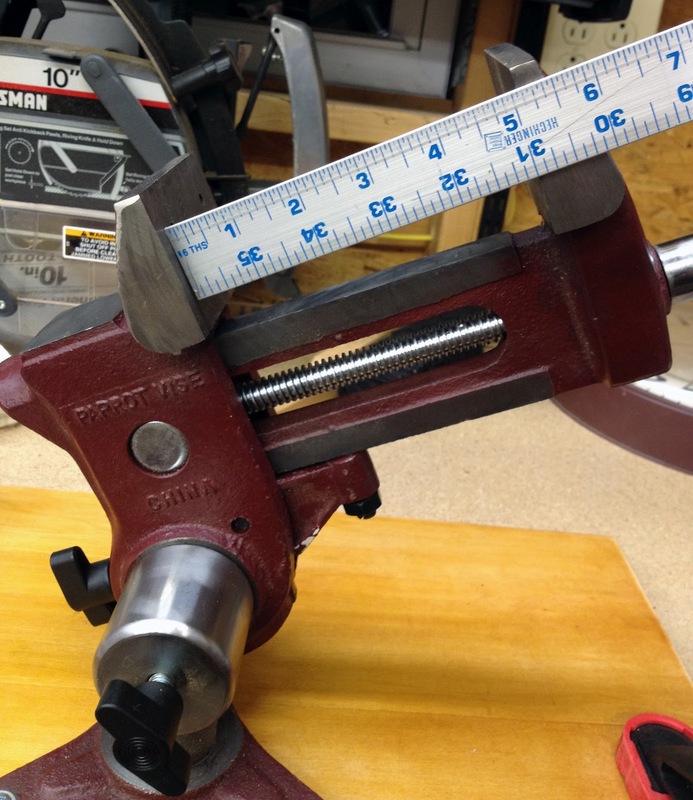 Good clamping alternatives have provided me with so many benefits that I often feel that a good vise or even a good set of clamps should be one of the first purchases that any shop owner should make. 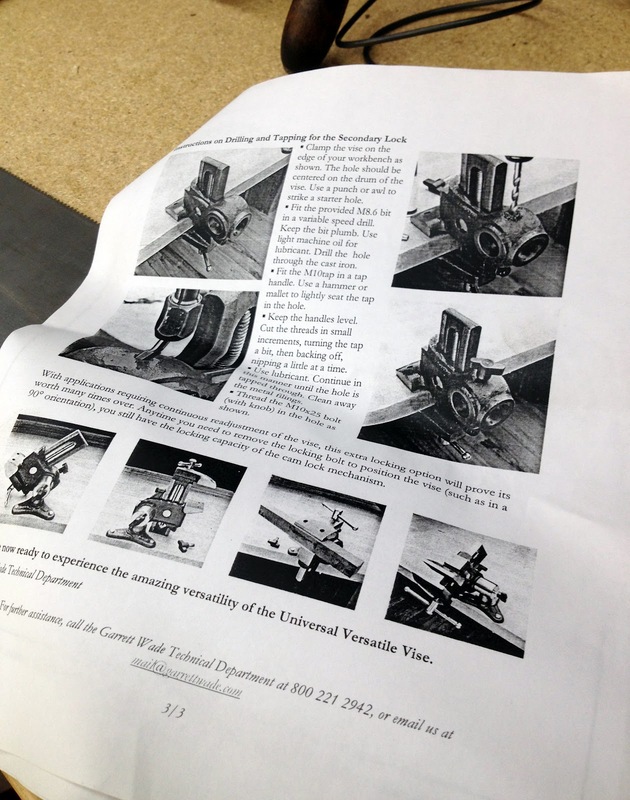 A firm solid hold on a workpiece allows the individual the freedom to work safely with both hands without having the workpiece vibrate and jump all over the workbench. Additionally, the vibration free workpiece can be cut cleaner and easier, providing for frustration free work...well, nearly frustration free. Before I delve into this review, I'd like to note that I am in no way affiliated with Garrett Wade, the Parrot Vise industry, or the secret society of Parrot Vise owners, I don't even own a parrot. 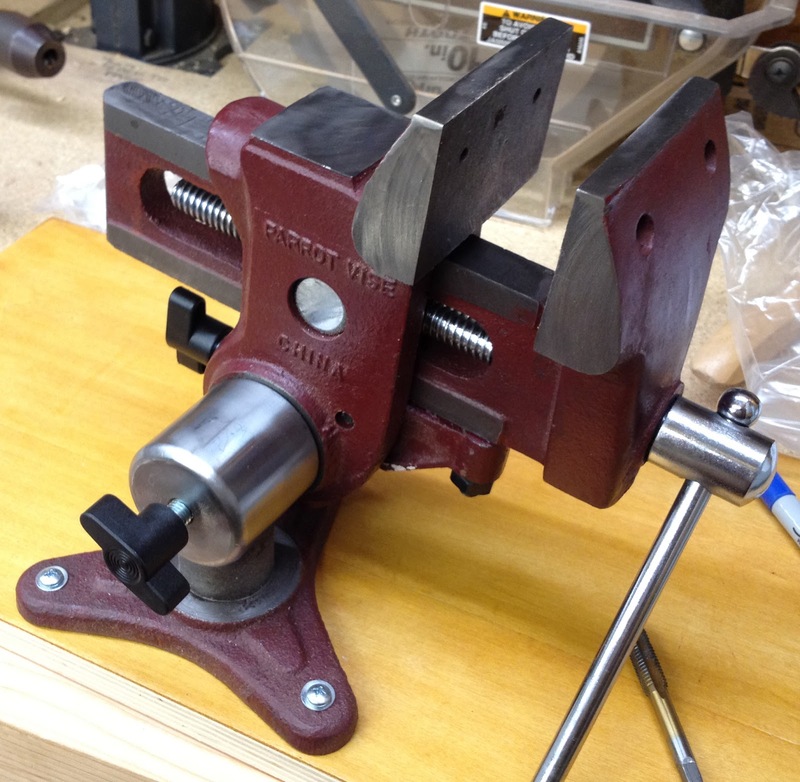 I ordered this vise a while ago, but I hadn't had time to make the "recommended modifications" (recommendations from Garrett Wade) to it until recently. 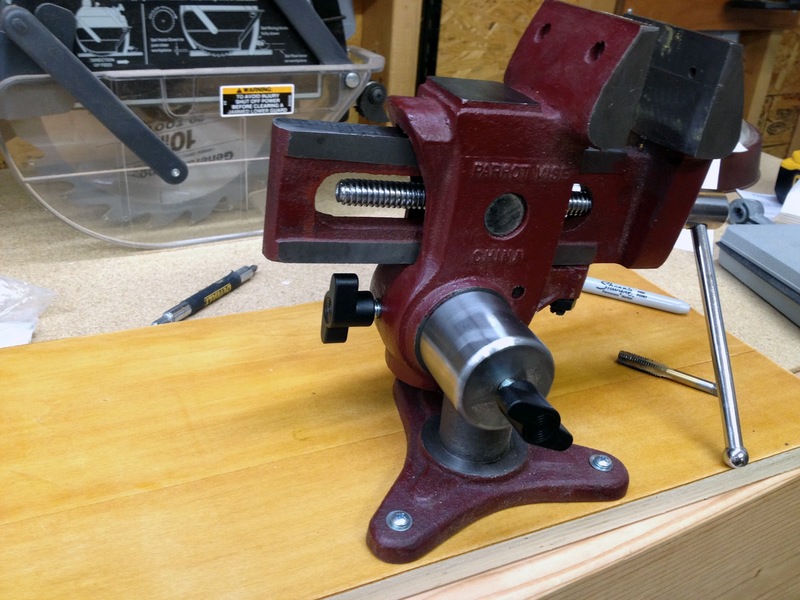 Not only does the vise work like a gem, but Garrett Wade provided absolutely everything I needed to make the modifications (at no extra cost), including....wait for it....well written readable directions - with photos! The Parrot Vise is a neat little shop creature. 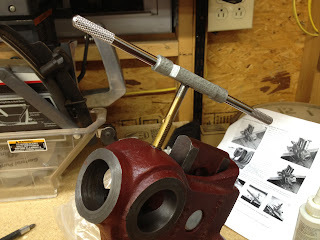 Thus type of vise has high positioned, parrot like jaws that sit atop a swiveling base. Most vises like this swivel on one axis, but can be removed from their base and set back down sideways to allow for a lot of versatility in clamping direction. Garrett Wade apparently worked with a flintlock gunsmith named Jerry Crawford to develop one that swivels in two directions at once. The additional axis they have incorporated allows for the vise to be positioned in a multitude of directions without having to remove it from the base. The only problem is that for this vise to work in the second axis, the customer has to become a machinist for about fifteen minutes. By adopting the Ikea business model of "let the customer build it" they save additional manufacturing costs and can keep the price of the vise in the affordable range. 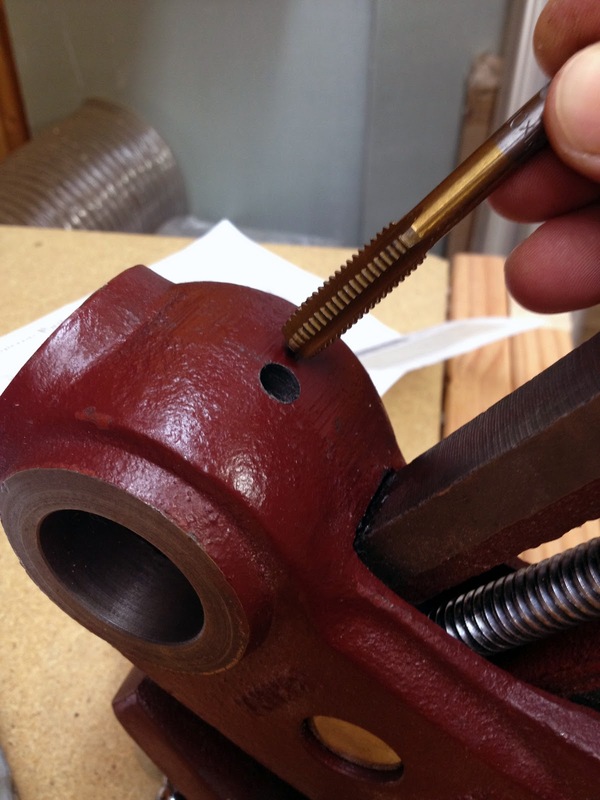 The modification is simple, drill a hole in the cast iron vise and tap some threads in said hole. From un-boxing to effectively using the clamp, the little project took me about a half hour and I must say I am very happy with the results. 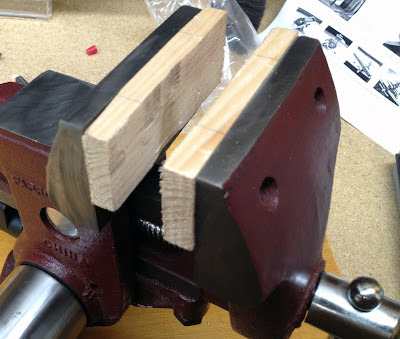 While this clamp is going to be great for carving saw handles and other objets d'art, I don't foresee any heavy handed hammering in its future without setting it directly on the base. 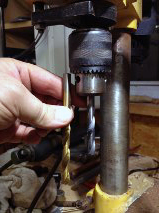 The vise itself is good and stout but the method they use to hold it tight to the base is prone to slippage. The intended friction hold of the thumb screw against the cylindrical axis is good enough for light work like filing, minor carving and sawing, but not really sturdy enough for hammering. 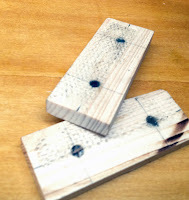 The basics of the modification are in the photos below and the instructions were really very good. Although it has the nice big CHINA stamp on it, I can actually see this little guy hanging around my shop for a long time. For 80 bucks I feel this was a good addition to the monster workbench as a work-holding option. Because the clearance under the chuck on the benchtop drillpress is limited, the drill bit that came with the kit (8.6mm diameter) was too long to drill into the vise once I mounted it on the drillpress table. 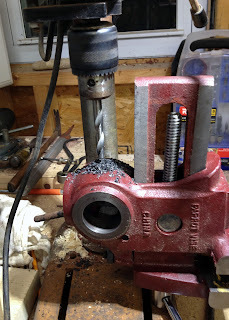 I ground off the end of an old 8.6mm boring bit to make it a little shorter and it drilled the hole like a champ (be sure to use cutting fluid or machine oil). Tapping the threads was an easy job. I clamped the jaws of the vise to the workbench, seated the taper tap with a light bump from a rubber mallet and cut the threads. With the threads tapped, I reassembled everything and gave it a test run. I used the magnetic jaw pads I made for my other bench vise here but I'll make some new ones for the Parrot Vise this weekend. It also has some mounting holes to screw jaw pads to if you'd like to permanently attach them.